A stable, reliable wireless network has become a core utility for every business today. More so than other business technology, your network has to be able to adapt to the ever changing needs of wireless users. Zebra’s WiNG Express helps small to mid-size organizations better compete by providing a true enterprise class WLAN that delivers the dependable and secure high performance wireless voice and data required to achieve best-in-class operational efficiency and deliver best-in-class customer service. From the retail store to the warehouse, a production line in a small manufacturing plant or patient bedside in a small hospital, with WiNG Express, you can provide the best wireless experience to your users that’s affordable and easy to manage. Real enterprise class wireless network performance for small to mid-size organizations with 1 to 1,024 access points. A robust enterprise-class WLAN you can easily deploy in minutes. The ability to start small and easily scale to support new business needs and a growing workforce. Powerful analytics to best manage your WLAN network and its performance. 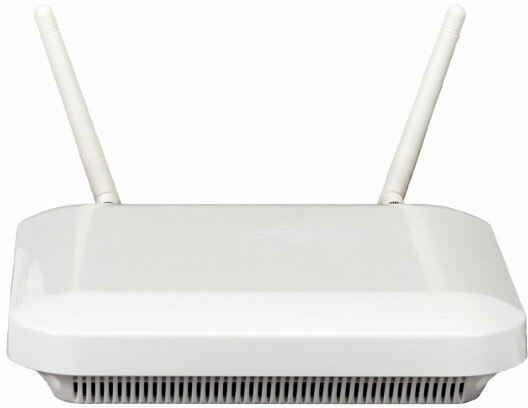 AP 7522E – Combines 802.11ac speed with 2X2 MIMO for a dependable, high-performance wireless LAN. NX 5500E – Advanced WLAN services and single point of control foe WiNG Express users. NX 7510E – Network management through a simplified, intuitive user interface. VX 9000E – Cloud-ready software-based WLAN controller for maximum deployment flexibility. WiNG Express is Zebra’s powerful enterprise-class WLAN operating system wrapped in an easy-to-use and easy-to-understand graphical user interface that makes end-to-end WLAN management easy — no IT department required. WiNG Express provides the same advanced brainpower as their enterprise-class WiNG 5 WLAN operating system, creating the “fully network aware” WLAN, where all of your WLAN infrastructure has the intelligence required to work together to route every transmission as efficiently as possible for unsurpassed wireless performance.